Microsoft Corporation acquired Nokia last year with hopes that the troubled former mobile phone industry giant would make a comeback, but since the acquisition, the Windows Phones have been incurring losses. Microsoft has indicated that it cannot keep up with the terrible liability. In order to stem further losses, Microsoft has lined up launches of two flagship windows phones slated for release in October. In a symbolic choice, Microsoft settled for 10th of October since it will mark the 10/10 of launching Windows 10. The repetition and rhyme seems to be working in their favor, but Microsoft will have to wait until after the date to celebrate, depending on how the market will receive its products. Microsoft will release Lumia 940 and Lumia 940 XL which will run on the Windows 10 Mobile operating system on that symbolic date. Nokia has been an interesting company that has witnessed all the major phases of the rise and fall of a company. Since the times it was a small Finnish corporation to a multinational giant, Nokia remains the unsung hero of the mobile phone industry as it was not acknowledged as the leading mobile phone manufacturer even when the other companies were trailing behind it. Now it lays disgraced and at the mercy of a buyer who is contemplating to sell it should it not resuscitate after 10/10. Since Microsoft bought Nokia, there have been positive hopes that the company may finally bounce back. But it is not that easy given that the competitors have moved with speed to occupy the territory which Nokia once ruled. Samsung Galaxy Note 5 and the new Apple iPhone 7 will definitely give Nokia which is now trading as Microsoft Windows Phones a run for its money. Microsoft has to prove to the users that the high price that its phones are being retailed at, matches the superior specifications of a premium phone failing which the clients look elsewhere. Of course, there is no shortage of options. 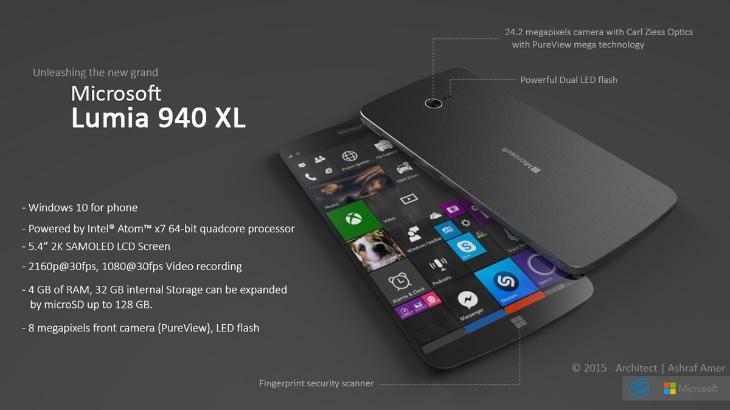 Lumia 940 and Lumia 940 XL remain the biggest releases of the Windows Phones. Shareholders, competitors and customers will be watching to see if Microsoft will really pull off a successful comeback Windows Phone. After the Windows Phones pick in the dynamic industry of mobile phones, Microsoft is likely to pump more capital to strengthen the brand. On the contrary, if Windows Phones continue making losses as their predecessors, Microsoft will give the brand a wide berth and it could soon have a new owner. Nokia’s past is a bleak one. After making a loss of about $7.8 billion and making 7800 people jobless, Microsoft has a lot of damage to control. First, it will have to babysit Nokia which was rebranded to Windows Phones to recover from the losses until it makes profits. Microsoft has not made an official confirmation of the launch of Lumia 940 and Lumia 940 XL, but insiders stick to the October 10th date as it coincides with the new operating system called Windows 10.